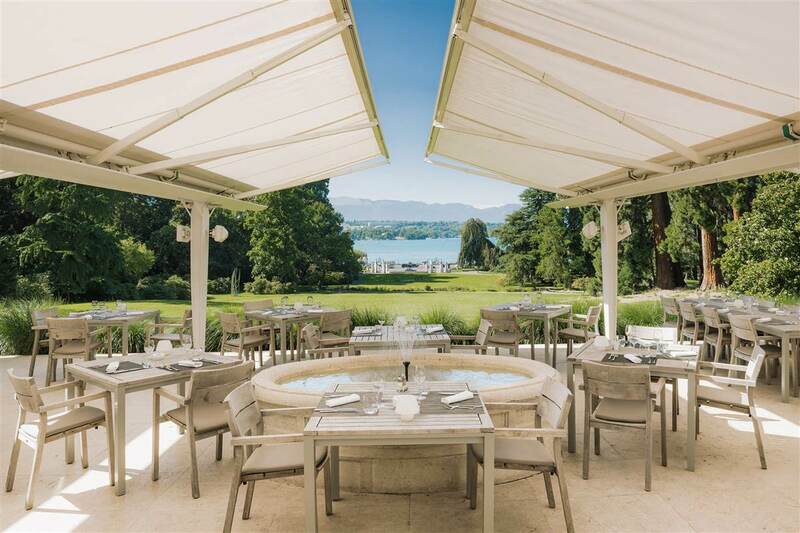 Offer your guests an unforgettable event with a panoramic view of Lake Geneva and the Jura mountains. In addition to the 4 modular meeting rooms on the ground floor, there is an art-deco-style lounge on the first floor of the hotel, which can accommodate up to 60 people for a seated lunch or dinner and up to 160 people for a cocktail party. Offer your guests an unforgettable event on our private terrace with a panoramic view of Lake Geneva and the Jura mountains.